So, where are we with LinkedIn’s boiled frog approach to the eventual demise of the Groups product functionality? Well, to start with, when I say “Groups product” and not “Groups feature,” it’s because Groups are no longer part of the actual LinkedIn platform. How do we know this? Because LinkedIn’s own nav spells it out–gone is the “Groups” option in the main nav; now the Groups feature has been basically hidden underneath the ambiguous “Work” icon in the top right nav. Clicking that Work icon reveals “Visit more LinkedIn Products”…of which Groups is now one. So, there’s that. There’s also the fact that LinkedIn hasn’t said a word about Groups since April 2017, when they posted this vaguely-worded message about possible plans to remove groups. That’s kind of a lot of months of silence, given that they post on their blog around once a day and previously had written pretty regularly about Groups…well, until about 2013, when they switched from blogging about Groups every few months to once a year, then once in 18 months. In July, 2017, LinkedIn announced that they were disabling the Groups API. I personally think that’s actually a good thing because it makes it less easy for spammers to post the same link to multiple groups. The result, however, since spammers seem to be the main active users of LinkedIn Groups at this point, is that most Groups are pretty much ghost-towns at this point. Anecdotally, the 30+ LinkedIn groups I belong to have virtually all become dormant, and the “Today’s Highlights” section is almost always blank. More & more reports are coming in from Group owners and managers that content is being automatically deleted from their discussions by LinkedIn. Many are speculating that LinkedIn is experimenting with algorithms that curate a Group’s content – without any input/approval from Group admins. Admins have had members post discussions, send them a direct link, and had the link go to “sorry this post is no longer available” multiple times and are reporting that it’s more than a glitch; it’s something LinkedIn is doing. LinkedIn is hijacking custom message templates created by group owners/managers. If you’re a group admin, you’re able to set custom template messages that are automatically sent when people request to join, are approved to join, are declined entry and who are declined and blocked. When you set your template message and send a test (if the test message actually works), you receive the template you created. I tested this myself and the test message was the template I’d created. I had a friend request to join the group then forward me the welcome message–and it was totally different than the template message. Unless you have a new member forward you the welcome message, you–the group’s owner/manager–have no idea the message you created and received a test of has been dramatically altered by LinkedIn. Seriously? In what world do you want messages you sent to your PRIVATE, MEMBER-ONLY group being altered without your knowledge, consent or any control whatsoever? Group admins can only send direct messages to their own connections who happen to be members of the group. One group admin reached out to LinkedIn for help with this–and actually got a reply, a rarity: “After the recent changes to Groups, a group owner or manager is able to send a message to a member applicant only if the person is a 1st, 2nd, or 3rd connection.” This admin reported that he also discovered that an owner or manager can now send a message to a *current* member only if the person is a 1st, 2nd, or 3rd connection. So, how are group managers supposed to run a community where they can’t reply privately to members who either have a question they don’t want answered in the form of a public discussion or privately inform members who violate community rules that they’re on notice or whatever the group’s policy is? If you really, really want to go down the rabbit hole of LinkedIn Groups deprecation, here is an amazing but very long, detailed listing of all the changes that have happened with Groups, including an org chart cataloging the various LinkedIn personnel who were involved with the Groups product and/or promised to revamp and relaunch them. Yes, really. And here you thought I was the only person obsessing about LinkedIn Groups’ impending demise! In 2013, I wrote this list of reasons why your association or member community shouldn’t live on LinkedIn’s Groups platform: no analytics, no way to cull lapsed members, poor user experience and, most importantly, you don’t own the content or the data. LinkedIn gives and LinkedIn can take away at their whim…something that since steadily began to happen. In April 2014, LinkedIn cut the first two features in Groups: the ability to disable the jobs tab (something organizations that have private job boards definitely didn’t want competing for that non-dues revenue) and the polls feature. In October 2014, they dropped the ability for members to connect with other group members. 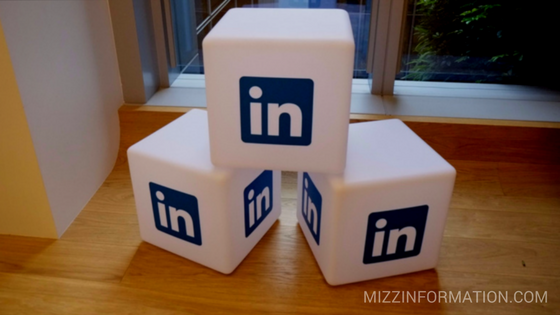 In August 2014, LinkedIn acquired B2B marketing platform Bizo after having already acquired online learning platform Lynda.com, and revealed, via leaked internal memo, their new vision for the platform: “Our long-term ambition is to build an integrated marketing and sales platform that provides a simple and effective way to reach audiences, nurture prospects, and acquire customers.” What better way to market Lynda’s educational programs than professional organizations neatly bringing together targeted segments to advertise products and learning opportunities to? In October 2015, LinkedIn listed changes it was rolling out to all groups: all groups changes to private groups (had previously been option to have open groups); some groups becoming unlisted so not visible to potential new members via search; jobs moved to conversations tab (not optional as previous jobs tab had been) and inability to pre-moderate posts. In March 2016, LinkedIn shut down its own groups moderator group it had originally created to foster collaboration among group moderators and allow them to share best practices and insights with each other. Who knows–maybe four years from now LinkedIn Groups will still be limping along…or maybe four months from now they’ll just be gone with no advance notice. Best case scenario, they’re still there…but is that really what’s best if building an online community is important to your organization…having a totally non-functional, analytic-less platform over which you have no control? Thanks for the very interesting analysis! To be honest, it’s been awhile since I spent any time on LinkedIn. The two that seem to be most popular new options are Mighty Networks and Slack, but there are certainly other alternatives, paid and free. Working on a post highlighting some other choices. Sadly, I don’t think there’s an easy way to port a LinkedIn Group to another platform because I believe LinkedIn doesn’t have any API that allows that–need to confirm this too. Mighty does make reference to some process, but I don’t believe it’s automated…I think probably copying and pasting most current/active discussions into new community, but I’ll confirm this and the API thing in future post (hopefully next week). I’d start with an announcement to your group saying that you’re considering other options and will keep group members posted, and also asking them to weigh in with options they may know of via other communities they’re part of. LinkedIn doesn’t let you export a list of group members, you might create a google form or some other email subscription option that you direct current members to, explaining that you’ll only use that list to keep them informed of future developments and announcements since LinkedIn’s announcement and Group functionality is no longer reliable. Starting over from scratch won’t be easy, but it’s also not impossible.